Wrinkles are treated by our expert dermatologists who have set forward for you, different anti-aging programs which are targeting wrinkle prevention and treatment: We consider every patient as a special case and we will create a personalized skin care plan to help you achieve your goals! And here, we would like to give you a diamond advice about skin care – the treatment of wrinkles is related to their appearance and to the actual age of the patient. 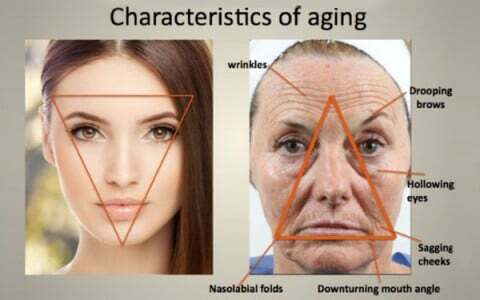 Simply said, if a patient in their twenties got wrinkles, it is much better to treat them now and not to wait till the patient reach their forties; at that stage, the wrinkles became difficult to treat or even the aging process can be irreversible. The treatment is determined by the depth of the wrinkles and their cause. * Our center offers this non-surgical way to freshen and rejuvenate the skin on the face and body by gently sanding the skin, exfoliating the thicker, uneven outer layer and reliving a fresh, smooth, younger looking skin with a healthy glow. The regular treatment induces the skin to produce more collagen, resulting in tightening of the skin and glow. The patient may need from 5-12 session, 2 weeks apart to get good results. *Image Disclaimer: Individual results may vary from patient to patient based upon the circumstances and the patient’s specific situation, as well as the time taken to see final results. There are so many kinds of peels! Our dermatologists will chose the best for you according to your skin type and the season – so do not worry if you have a dark skin, you are in safe hands! Superficial peels: These peels can make a difference in the intensity of fine wrinkles. 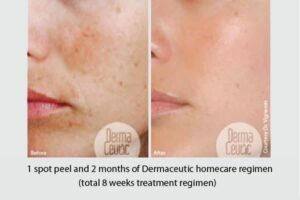 Deeper peels: These peels use ingredients penetrate somewhat deeper into the skin. Deeper peels do a better job of smoothing fine lines. Some doctors perform laser resurfacing which requires “conscious sedation,” and during the procedure, the patient remains awake and receives intravenous medications to calm and ease pain. This sedation is combined with the application of topical anesthetic creams and injections of local anesthetics (the sedation and anesthesia are not optional but mandatory).
. It takes longer for the skin to heal (weeks to months) after the resurfacing. 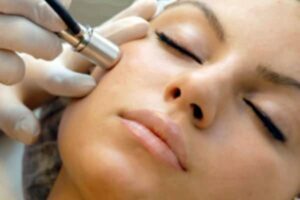 Additionally, this procedure, like dermabrasion, can cause permanent pigment changes and scarring. Instead, we prefer the innovative technology of Intracel that utilizes three methods simultaneously – micro needling, radiofrequency and fractional laser. 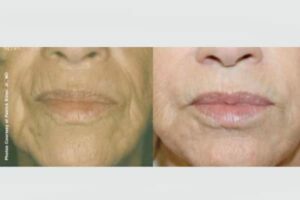 Intracel is proven to be safe and having more visible and lasting results than many other lasers. With only three sessions, no sedation (just topical anesthesia), Intracel treats wrinkles and sagging skin on the face and body and especially the challenging neck area which is usually refractory to other kinds of treatments. Every Face tells a Story! What is your face telling you? – we can apply the injection to improve the arched shape of your eyebrows, or to redefine the jowl lines and to control the Platysma bands on the neck. The improvement lasts several months and must be repeated to sustain the result. Injected properly, the injection is quite safe. Fillers: Fillers are injected into the skin to increase its volume and flatten the wrinkles and folds. As we mentioned previously, we are bringing to our patients, the top products for fillers. Our dermatologist can fill out the fine and deep wrinkles, fill in the cheeks, determine the jaw line, and treat the chapped, dry, dull, cracked lips to look pinkier, fuller and more natural. Additionally, via a mesotherapy technic, we can use fillers and disperse small amounts all over the face to achieve a youthful appearance. However, the patients should keep in mind that the results vary depending on the location and depth of the wrinkles. However, nothing stops the aging process of skin, so you’ll likely need repeated treatments to maintain benefits. Hands are always the real reflection of person’s age and good self-care. Just few years back, hand rejuvenation was viewed in the medical field as a very annoying challenge but today, our dermatologists offer you an amazing improvement of the aged, chapped, vascular look of the hands! Simply by using a special filler we can rejuvenate, hydrate, refresh the hands and hide their vascular look. Our new laser BBL and its great results of rejuvenation, it can treat wrinkles, excessive hair, pigment spots, sagging skin, broken blood vessels (telangiectasia)! All you need is just a few sessions to have long lasting results! 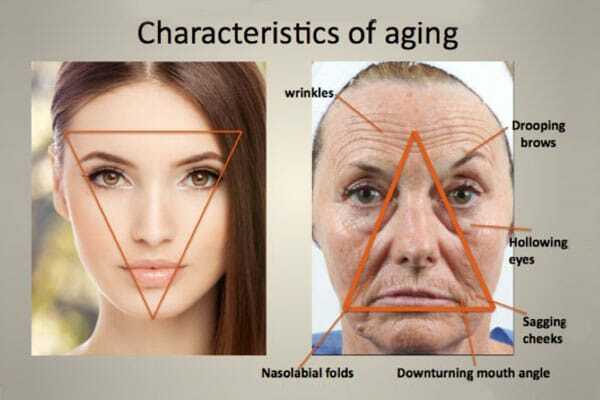 Aging: aging starts since you are in your 20s! Do you believe that? Muscle contraction: facial expression like Smiling, frowning, squinting and other habitual facial expressions. Sun rays: the sun is number one enemy to the skin. Smoking: smoking suppresses collagen production in the dermis. Special causes like hairstyle, dress, occupation, and recreational sun exposure. Skin ages all over the body but much more in the areas with sun exposure. Wrinkles in turn can be divided into two categories: fine surface lines and deep furrows. 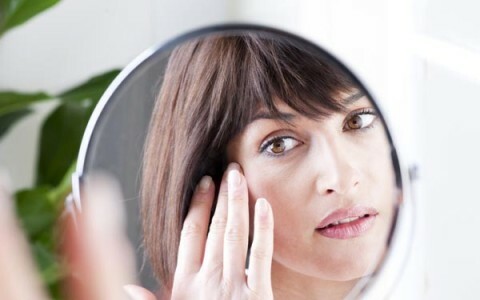 In general, wrinkle treatments are in general much more effective for fine lines. Deeper creases may require more aggressive techniques, such as injections and eventually plastic surgery. 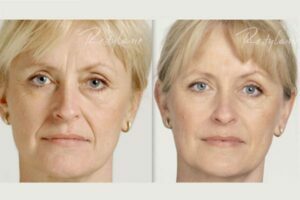 There are two basic approaches to the amelioration of the signs of aging: prevention and removal. Some of wrinkle predispositions are beyond our control. Protect your skin from the sun. Protect your skin — and prevent future wrinkles — by limiting the time you spend in the sun and always wearing protective clothing, such as wide-brimmed hats, long-sleeved shirts and sunglasses. Also, use sunscreen when outdoors, even during winter.The American Academy of Dermatology recommends using a broad-spectrum sunscreen with an SPF of 30 or more. Apply sunscreen generously, and reapply every two hours — or more often if you’re swimming or perspiring. Use products with built-in sunscreen. When selecting skin care products, choose those with a built-in broad-spectrum sunscreen — meaning it blocks both UVA and UVB rays, UVA rays are the ones you get in tanning salons; they may not cause immediate sunburn but do produce sun damage and increase skin cancer risk over time. (Sorry, but there is no such thing as a “safe tan.”).